Melt our wax with the heat of a low-watt lightbulb and fill your space with fragrance – not flame, smoke or soot. 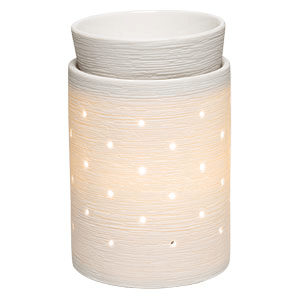 Start , or expand , your Silhouette Collection with this simply patterned warmer. Etches in the porcelain shine through when lit, creating a uniquely textured, glowing warmer.